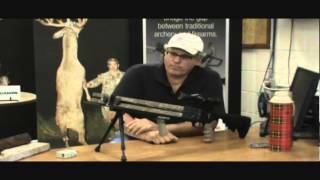 Building amazing recurve limb crossbows in West Chester, PA for over a decade, with a simple design that works in the most demanding situations. Tough components and fewer moving parts keeps you in the field. Whether it's "game on" in Africa, Texas or Ohio, you can depend on innovative features like a quiet limb design, firearms grade trigger, a slick anti-dry fire system and a full length machined rail and receiver coupled to adjustable AR components. 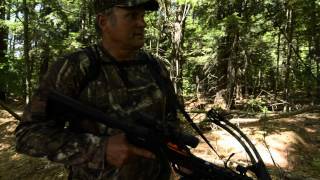 These crossbows are quiet, accurate, powerful and built to stay that way shot after shot. using state of the art manufacturing processes and materials. Click diagram at right to explore our crossbow's features! "What model would be best for me?"